Fast rising rapper onoja Sunday christian popularly known by his stage name kryztalz,who hail from benue state,born 15 of march 1995. He started his musical carrier at early age is here with another vibe for the street, after the breakthrough from his hit single KONNECT. 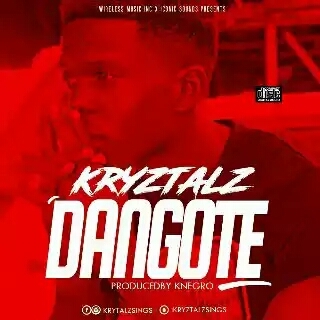 0 Comment to "MUSIC:KRYZTALZ – DANGOTE"